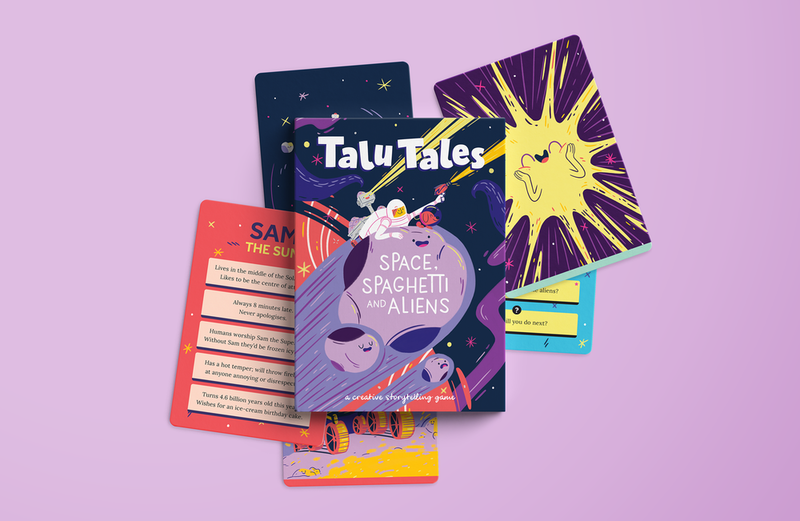 Talu Tales is an award-winning* storytelling card game that introduces all the elements of a story to children aged 4–9. Designed to make STEM education more accessible, each pack in the series is stuffed full of cheeky characters, sneaky aliens and things that go zoom-squish-kaboom! 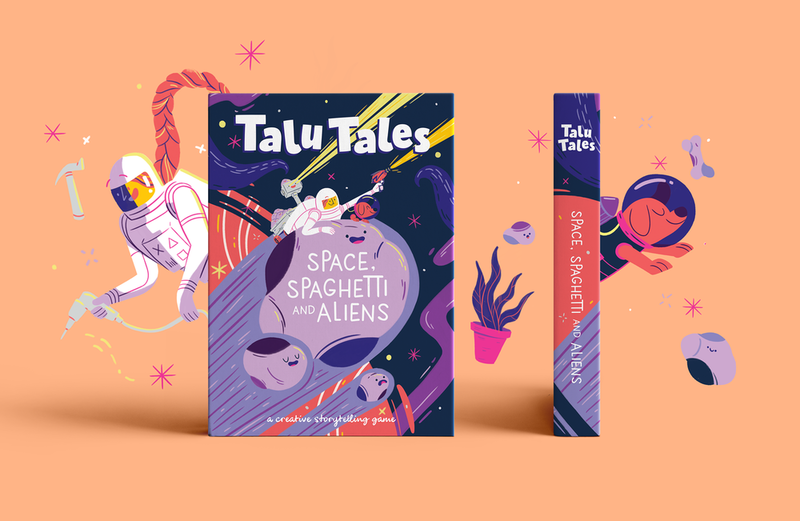 With infinite combinations possible, Talu Tales is for big and little humans to imagine, build and invent stories that don’t yet exist (but definitely should). More info about Little Literature and the launch can be found here. All Project: Talu Tales Colour Work Character Design Animation, Compositing and Films Project: Emotional Turmoil Lab Project: Alice's Wanderland Project: Bottersnikes and Gumbles Project: Nick Jr. Stories Project: Gucci SS2018 Project: Ball and Doggett Project: Millennials are Killing Antiques! Project: Talu Tales Colour Work Character Design Animation, Compositing and Films Project: Emotional Turmoil Lab Project: Alice's Wanderland Project: Bottersnikes and Gumbles Project: Nick Jr. Stories Project: Gucci SS2018 Project: Ball and Doggett Project: Millennials are Killing Antiques!